Have you ever thought about becoming an electrocardiographs technician? If you have, then you will have to attain your EKG technician certification before you can even begin looking for a job. However, becoming certified is not that difficult. It just requires some dedication and diligence on your part. The good news is that once you have your EKG certification, you will be on a one-way ticket to a fabulous career. Many people trying to get their certification wonder what it involves and what they will learn. Your EKG certification course involves very detailed training. You will learn all about patient care, how to properly use the ECG machine, and how to record the ECG machine readings accurately. Your certification for becoming an EKG technician is actually available in three different types. There’s a quick one-year certification, and Associates degree, and a bachelors degree program. You can become certified in a number of ways, and there are a lot of schools that offer training specifically designed for EKG technician certification. These training programs are available at the schools, and they are also available online. Because of the popularity of becoming an EKG technician, a lot of schools are now incorporating this certification process into their curriculum. Sure, being a new student can be tough, but rest assured, you’ll get used to it before you know. You should be aware that you can only apply for your EKG technician certification classes if you have a high school diploma or GED. If you have either of these, then you can apply at a technical school that specializes in EKG technician training, or you can go to your local college and get an Associates or a bachelors degree. See also this post on easy scholarships. There are many benefits to becoming a certified EKG technician. The most obvious is that you will be able to get the job you want, but you’ll be also be recognized in the medical field as a skilled professional. Now if the problem is that you didn’t finish your high school education, you can always take the GED high school equivalency exam which qualifies also for higher education. If you complete a six-month course at a technical school, you’ll be able to get a job rather quickly and you’ll also earn anywhere from $24,000-$30,000 a year. However, if you get your Associates or bachelors degree, you can earn much more than this. Your certification will enable you with a variety of skills that many medical facilities are looking for. Because you’ve completed the proper training you will be able to handle patients properly, you will not how to care for the equipment you use, and you will be able to carry out the ECG tests appropriately. These tests are extremely important because they are what the doctors use to diagnose what diseases affecting the patient’s heart. 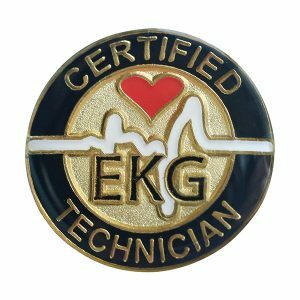 With your certification at hand, you’ll quickly realize that there is a big demand for qualified EKG technicians who have this skills and desire to do the job properly. It’s not uncommon for graduates to land entry-level jobs right after graduating from college. There are many benefits to getting your certification, but the more training you can get the better. It strongly advisable for anyone was pursuing a career in this field that they should take the time and fine classes that also offer more extensive and innovative training. Look for classes that offer training in stress management exercises in the Holter technique. These added skills will greatly enhance your resume and make finding a job much easier. Obtaining your EKG technician certification is a great achievement, and many people often use this to begin their career in the field of cardiovascular sciences. Over the next few weeks, I will address a few more aspects of this interesting field. Watch out for my new posts!